I'm pretty sure you'll agree the weather is rather unpredictable right now- I was sporting the short shorts at the weekend and now I've just walked home wrapped in a mac to fend off the elements. All in all dressing for May is proving a tricky one which is why multi seasonal items so are essential. 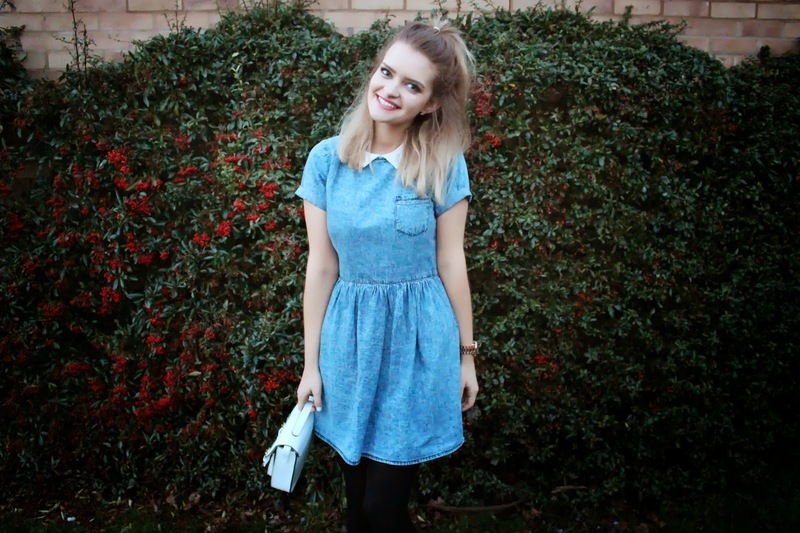 My favourite piece for rain or shine has to be my Primark denim smock dress which is up there as the best £12 I've spent! It's perfect for layering with tights, boots and a jumper for those more chilly days (aka Britain all year round) and also works fabulously with a pair of sandals and some sunnies for when the sun does come out. 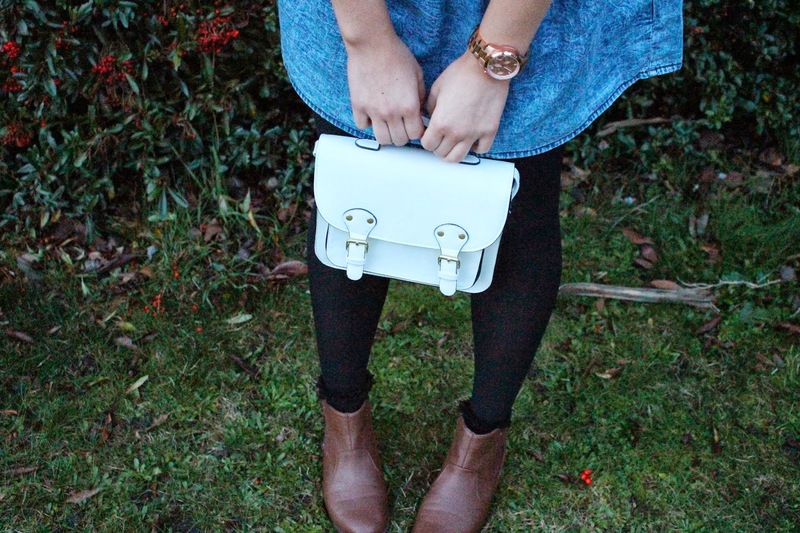 On this day I popped a collared top underneath and added a white satchel for a more cutesy look, but you could totally toughen it up with some chunky boots and a leather jacket too. That's multi-purpose packing at it's best! Tonight I'm going to have a bit of a chill out after a very manic few days. I always think being busy is best though and there are so many exciting things coming up. Tomorrow for example I'm off to Carnaby to do some filming and then a Maybelline event in the evening- there's nothing quite like swanning around pretending to live the sophisticated London Life! What item do you wear come rain or shine? Ooh I've wanted a smock dress like this, I'm just not sure if I can pull it off! I love how you've styled it and I can see why it's so versatile. That dress is lovely! My wardrobe is pretty much winter or summer so when it comes to days like these I find myself pretty stuck for what to wear, should take a leaf out of your books!